How To Apply Eye Shadow Perfectly For Flawless Beauty & Eye Makeup? How To Apply Eye Shadow Perfectly For Flawless Beauty? Eye makeup may seem to be the toughest in your makeup regime. But actually, it’s not that tricky, especially if you know how to apply eye shadow flawlessly. 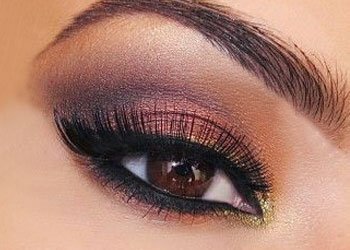 You just need to focus on your eye shape, colour, and style to pick the perfect eye shadow that will certainly accentuate your eyes. 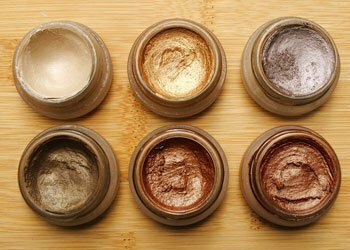 Applying eye shadow like a pro can get easier with some simple tips. Well, there are lots of them. How to Apply Eye Shadow Properly? 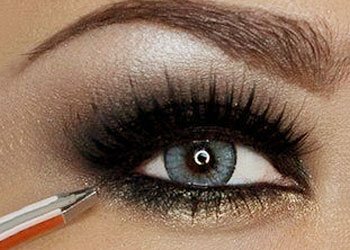 For the beautiful looking eyes, you must understand some basics of how to apply eye shadow. It starts with choosing the right type of eye shadow. Luckily for you, there are stores stacked up with inimitable varieties of eye shadows in every form and every colour possible. They come in types of loose powder that is tough to apply, cream eye shadow that is crease at times, and compact powder that is the best of them all. For eye makeup, choosing right eye shadow colour is also quite important. In this regard, the thumb rule says that select the shadow opposite to the hue of your iris. Here, you are spoilt for choice in the colour of shadows available to you. So, be cautious and choose the best one for your eyes. Selecting the right brush is also important to apply eye shadow perfectly. Remember that sponge brushes are strictly not recommended for eye shadow application. Instead, go for a flat brush which is stiff enough to distribute the shadow pigments evenly over the entire eye lid. For crease, use a soft dome brush and bringing it closer to lash line, use pencil brush for perfect application. 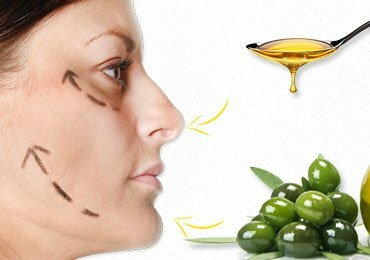 You will love to read How to Make Your Eyes Look Bigger? 1. How to Apply Cream Eye Shadow? Cream eye shadows are slightly tough to apply. 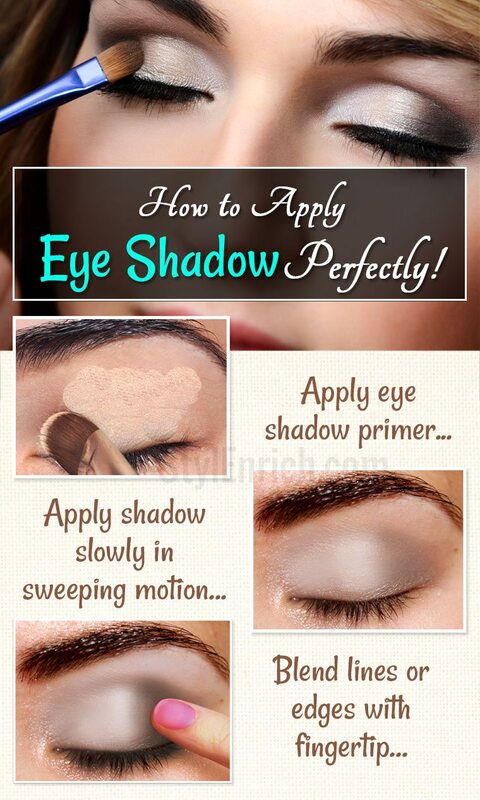 Here, you need to practice well and properly learn how to apply cream eye shadow. Choose cream shadows in neutral colours. Prefer applying them with clean fingertips and a soft synthetic brush. You may start with applying an eye shadow primer to keep your eye shadow in place. Apply shadow slowly in a sweeping motion. Here, you must be faster as cream eye shadows tend to dry quickly. When one layer dries up completely, apply the next coat, if required. If you find any shabby lines or edges, rub them properly with your fingertips until it blends with your skin. You are done with it now. 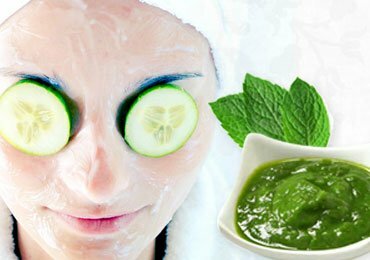 You may also read How to get rid of dark circles under the eye? 2. How to Apply Smokey Eye Shadow? 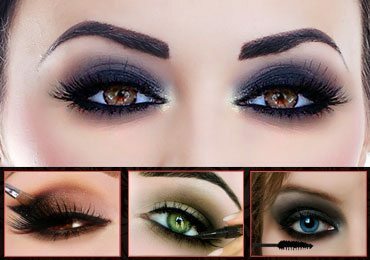 If you are also smitten by the smokey eyes, then you must also learn how to apply smokey eye shadow. It looks gorgeous and is quite in vogue as well. 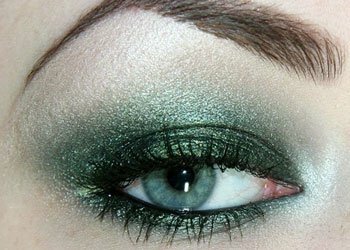 So, here you go for smokey eye makeup replete with a stunning eye shadow. Take thick-lipped black eyeliner and apply it on the bottom of eyes. Put the liner on both the sides of your lower eyelashes. Closing your eyes, apply the eyeliner on the top lashes to make them look thicker than they are. Above it, apply a grey, silver or white eye shadow. With a thick and soft brush, apply black eyeshadow on the lower half of your eyelids. For an extra pop of colour, use any hue that matches well with your eyes. Blend the crease area with a soft dome brush for softening the smokey looks of your eyes. 3. How to Apply Black Eye Shadow? For any eye colour, black eye shadow is an ultimate beauty respite but only if you apply it rightly. Black shadow may look elegant and absolutely beautiful by accentuating your eyes. To learn how to apply black eye shadow, follow these steps. Start by applying the eye primer for longer-lasting eye shadow. Use any type of black eye shadow that you like. Add some extra sparkle to your eyes with a shimmery eye shadow. From your eyelid to your brow bone, evenly apply a silver colour shadow. Now apply the black shadow all over the crease. Add some highlighting effect with a white or cream shimmer eye shadow. You are good to go! Choosing the best eye shadow for your eye colour is equally important for stunning eyes. There are many types of eye shadows available to you. Don’t get intimidated by this huge variety. Instead, choose the best one accordingly. 4. 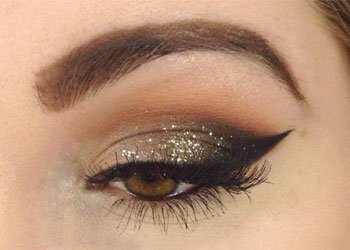 How to Apply Eye Shadow for Brown Eyes? It is not so hard to find the most befitting eye shadow for brown eyes. Most of the shades in shadow look perfect with brown eyes. You can easily go for bronze, chestnut, or coffee colour along with vivid shades of green and purple. However, finding your skin’s undertone is also important here. Cool skin tones look great with bluish or pinkish shades while warm tones blend well with shades of golden and olive. 5. How to Find the Best Eye Shadow for Blue Eyes? Blue eyes are certainly a dominant facial feature. You can make them pop stunningly with the right eye shadow for blue eyes. The choices are galore. You should follow the same procedure here that includes knowing your skin tone well in advance. Gorgeous shades of golden are always welcome along with some other colour variants depending upon your skin undertone. Warm shades of peach, copper, et al are best for the blue eyes. Similarly, for cool undertones, prefer shades of bronze, gold, or eggplant to become the head turner of the evening. 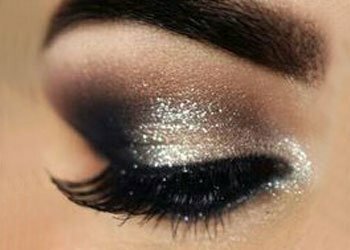 Make your eyes your true beauty with an ideal eye shadow and always learn how to apply eye shadow properly to make them really stand out. For your experiences and tips, please feel free to comment below. Smokey Eyes Makeup : Step by Step Tutorial For Beginners! 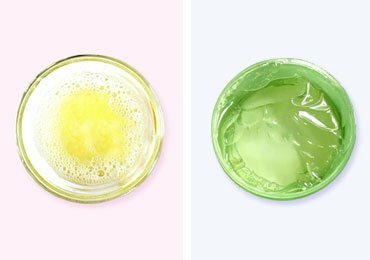 Say Hello To Clear & Beautiful Skin With These Simple Homemade Acne Face Masks! 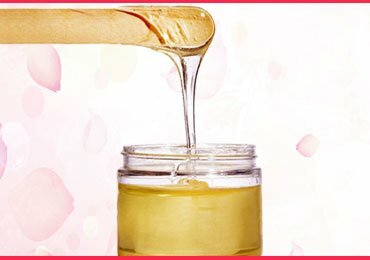 Regain Your Flawless Skin with These DIY Blackhead Mask for Clean and Clear Skin! 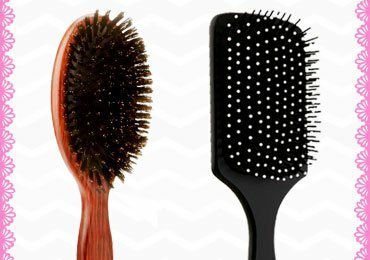 Types of Hair Brushes And Their Uses! 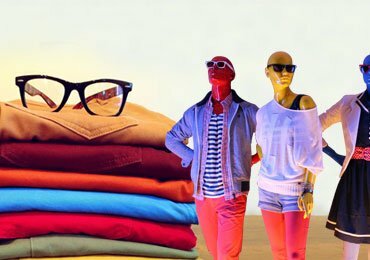 Go Play Colours : Your Ultimate Guide on How to Choose Clothing Color! 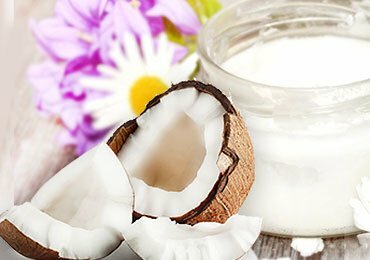 Fight Those Pesky Lines with Home Remedies for Wrinkles! 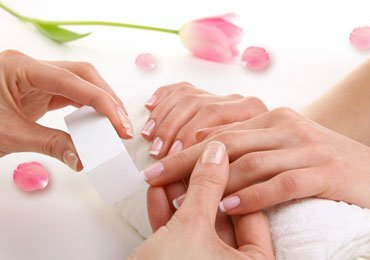 How to Do a Manicure at Home : Step by Step Guide for Hands Care!